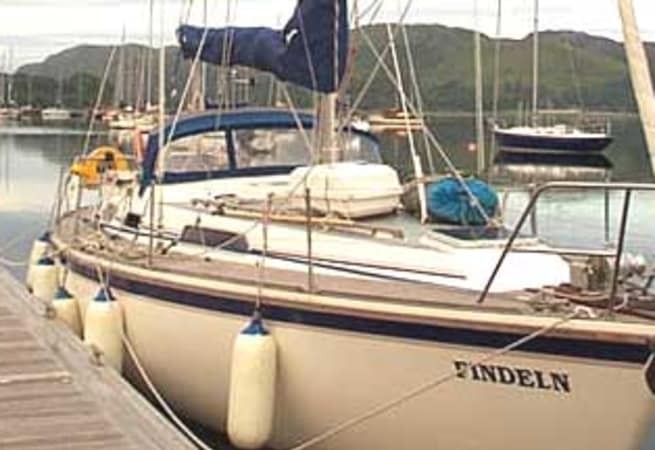 Findeln's saloon is spacious, light and airy, with the teak woodwork giving it a warm feel. The seating can be converted to one single and a large double berth for those wishing to accommodate up to eight adults on board, with plenty of seating to accommodate all of the crew. Forward of the saloon is a double/twin cabin, heads with shower, washbasin and WC and a wet/hanging locker. Aft of the saloon is the well-equipped galley with double hob, oven and grill accompanied by the refrigerated ice box. On the port side is the navigation station. 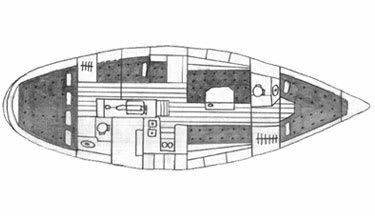 To the rear of the chart table is a pilot berth, and aft of this a short passage leads to the large aft double/twin cabin with ensuite heads. All of the cabins have central heating outlets. 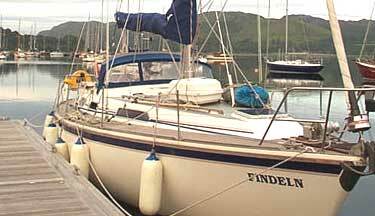 She is available for skippered charters and prices start from £1400.00 per week.